Double-breasted button closure at the bodice. Long sleeves with button accent. Front flap and chest welt pockets. 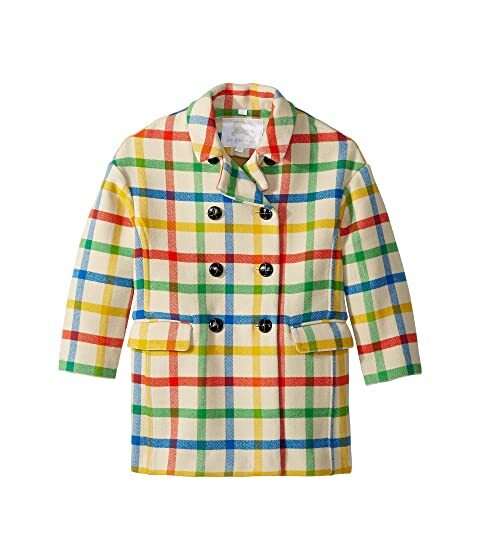 We can't currently find any similar items for the Agnella Coat (Little Kids/Big Kids) by Burberry Kids. Sorry!